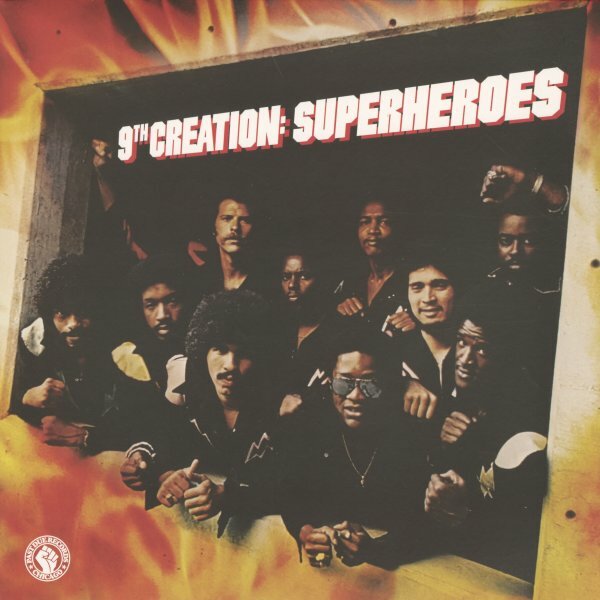 Fantastic funk from 9th Creation – a group who really tighten up their sound for this record, but still stay as wonderful as before! There's a totally right-on-the-money vibe to the whole thing – like the best Wayne Henderson/At Home productions from the late 70s – or maybe that great Parliament moment when the group was trimming it down, but still finding a way to add in all these great elements around the edges! JD Burrise produced, and also handles the lead vocals – but the whole thing's a definite ensemble effort, and it's clear that these guys were having a hell of a time putting the record together in the studio – especially given all the sweet moments in the instrumentation – which hit some jazzy passages too. Titles include "Superheroes", "What's Shakin", "Got My Baby Back", "Shucks You're Fine", "I'd Do It Again", "Much Too Much", and the nice mellow number "Love is a Fantasy". Sweet and jazzy – very nice! © 1996-2019, Dusty Groove, Inc.